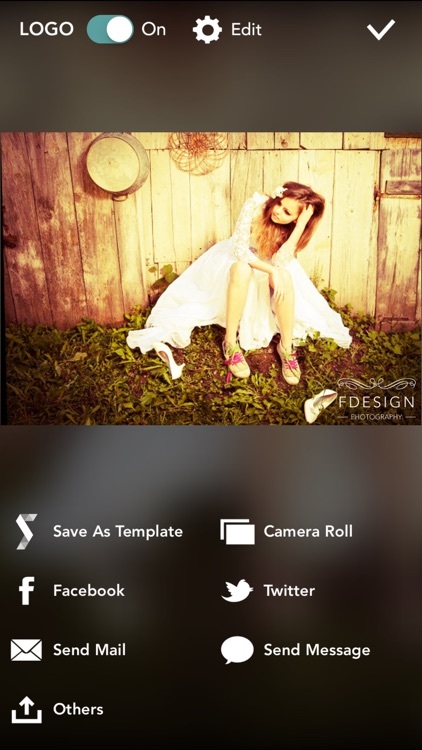 With FDesign, you now have ultimate control over how to transform your photo to a unique and gorgeous one. 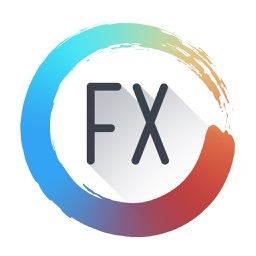 FDesign is a professional layer-based effect design app both for novices and professionals. 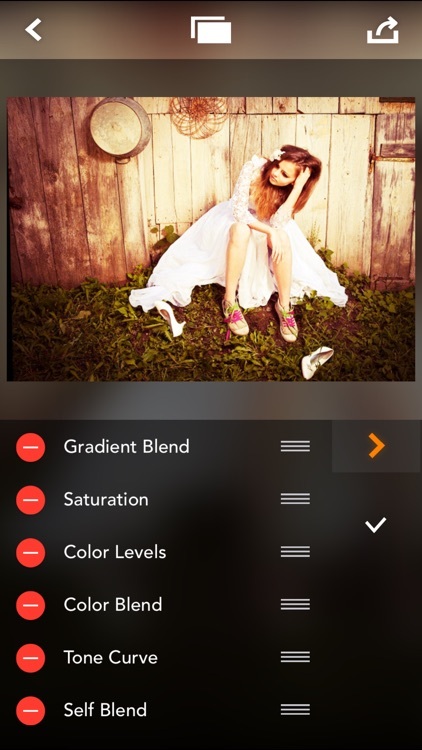 FDesign lets you design any filter effect you want by composing 22 basic adjustment tools through layers. 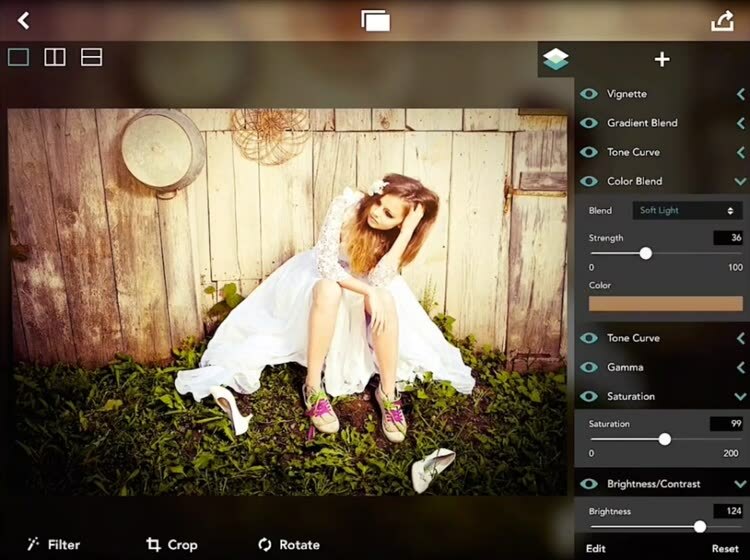 Since FDesign lets you control each component of the filter effect through layers, you have more detailed control over how to transform your photo. Consequently, it’s possible to design more unique and delicate filter effects. 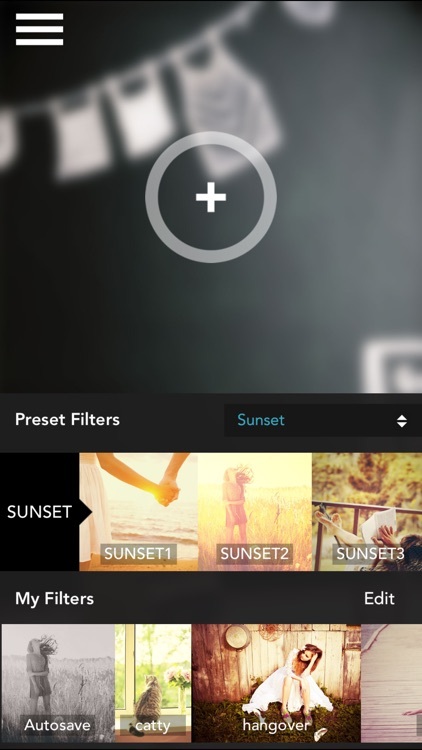 In addition, FDesign is equipped with 30 expertly designed filter set for user’s convenience. 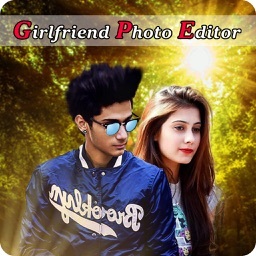 These beautiful filters make your photos very special and unique. Moreover, starting from these filters, you may design your own unique filters. Unleash your inner creativity with FDesign. • Supports unlimited number of layers. 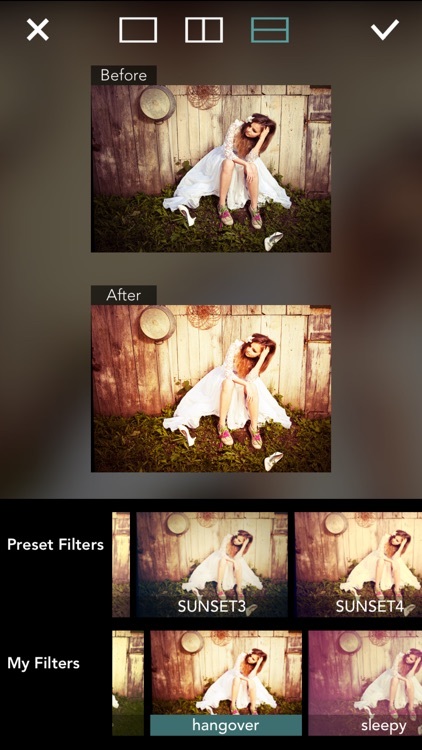 • You can add, remove and reorder layers as you wish. • Each layer can be turned on and off individually. • Each layer contains one of the basic adjustment tools listed below. • Total 22 basic adjustment tools are supported. • Supports 10 Color adjustments including Brightness/Contrast, Hue, Saturation, Gamma, Exposure, Color Levels, White Balance, Highlight/Shadow, RGB Channels and Tone Curve. 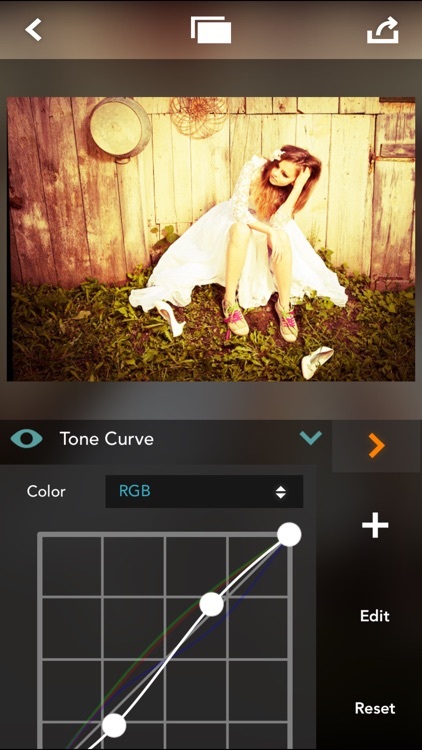 • Supports 8 Photo effect tools including Grayscale, Sepia, Monochrome, Vignette, Gaussian Blur, Tilt Shift, Sharpen, Grain. • Supports 4 Blend tools including Self Blend, Texture Blend, Color Blend and Gradient Blend. • Each Blend tool supports 20 blending methods including Normal(Alpha), Overlay, Soft Light, Hard Light, Darken, Multiply, Linear Burn, Color Burn, Add, Lighten, Screen, Color Dodge, Hue, Saturation, Color, Luminance, Difference, Subtract, Divide, Exclusion. • Texture Blend contains 15 high resolution textures. • Gradient Blend supports 4 modes of gradient - Linear, Radial, Diamond and Linear Reflective. • All the adjustment tools accompany intuitive user interfaces for property editing. • Cropping with predefined aspect ratio. • Cropping with user-defined aspect ratio. • Rotation and mirroring of the photos. 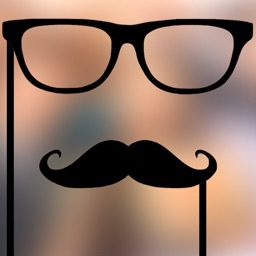 • You can save the design as a template for later reuse. • You can save the generated image to Camera Roll or share them through Facebook, Twitter, Instagram, Sina Weibo, Tencent Weibo, eMail and Messenger. • You can also send the result image to other apps via “Open In Other Apps” feature. • Maximum 16Mega Pixels (4096x4096) on iPad Mini Retina, iPad 3G, iPad 4G and iPad Air. 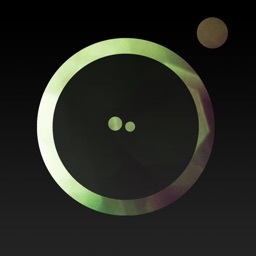 • Maximum 4 Mega Pixels (2048x2048) on iPad Mini and iPad 2. If you have any issues or suggestions, please contact us via following email address.